- Tu is used to address someone informally: a friend, a relative or someone close. - Vous is used to address someone formally: someone older, a superior at work, or just someone you don't know well. 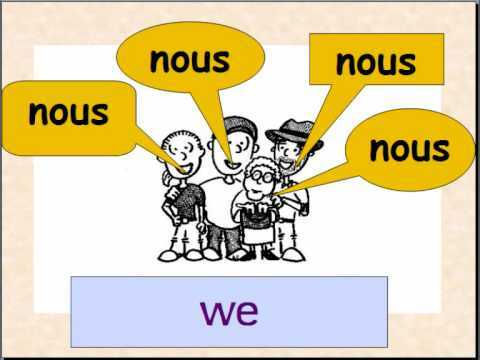 Vous is also used to address (formally or informally) two or more people. em: why is vous used for you all too? i have a doubt. which is ''tu as faim''. question or sentence. because you are using in same way. Tu as faim -- You are hungry. Tu as faim ? -- Are you hungry. It depends on the intonation; the words don't change. 1) With est-ce que... : Est-ce que tu as faim? 2) With inversion: As-tu faim? 3) With intonation: Tu as faim? All three are asking the same thing. But with the third option you just use intonation to make it into a question. Bonjour Denis ! To express "to be tired" in French, you will use the verb "être" (to be) as such: "Vous êtes fatigué ? / Tu es fatigué ? - Non, je ne suis pas fatigué." "Je ne fatigue pas." means "I don't tire." I hope that's helpful! À bientôt ! The french language tends not to like putting vowels in pairs......so it would be J'ai - however it is "I am tired" not I have tired. So .........Je suis fatigué. Why do we bother with tu? Most of us are never going to get that close to a French person. Bonjour Malcolm ! Actually, you would also use "tu" when talking to someone younger than you, like a child or a teenager, or a classmate! Plus, speaking as a French woman whose partner is English, you never know what can happen in life :) Better be prepared ! À bientôt ! If there's a case that my teacher (or teacher's assistent) is somewhere near my age or we have known each other for a while (usually educators want to be as quick as possible to befriend students during class, so that would be approximately two weeks), should I address them in Tu or Vous? Another case is that what if I've chatted with a person whom I've just met for an hour and after a while I text that person in Tu, would I sound repelling? Merci beaucoup in advance! Bonjour Charles, When you're not sure, including in both of these cases, just ask "On peut se tutoyer?" This is typically French and the answer will almost always be "Oui!"